Wilkes senior Kya Lewis had never visited campus before sending in her deposit to attend the University. She set her sights on becoming a Colonel after one positive interaction during her sophomore year of high school when she met a Wilkes admissions counselor at Upper Darby High School’s college fair. Now she’s leading the way for incoming first-year students, serving as the orientation coordinator. The Philadelphia-area native is studying business management and marketing– something that’s come in handy as she’s taken on numerous campus leadership roles. Lewis serves as the two-term Programming Board president, hip-hop director for the campus radio station, 90.7 WCLH, a resident assistant for two years and now orientation coordinator. She has found that all of her campus roles complement each other. “When the bios came out for each job (for orientation), I was like, ‘wow, I already do all this.’” As orientation coordinator, Lewis has been a primary point of contact for the first-year students, handling changes in majors, orientation dates and student accommodations. It’s nothing new for her, since she’s in charge of planning some of the largest events on campus through Programming Board. In that role, Lewis organizes concerts, campus-wide bingo, trips and more. The level of professionalism required to lead orientation and the long hours are demanding, but for Lewis, it’s all worth it. Reflecting on her own experience as a mentor to first-year students, she recalls the special connections she’s been able to create. 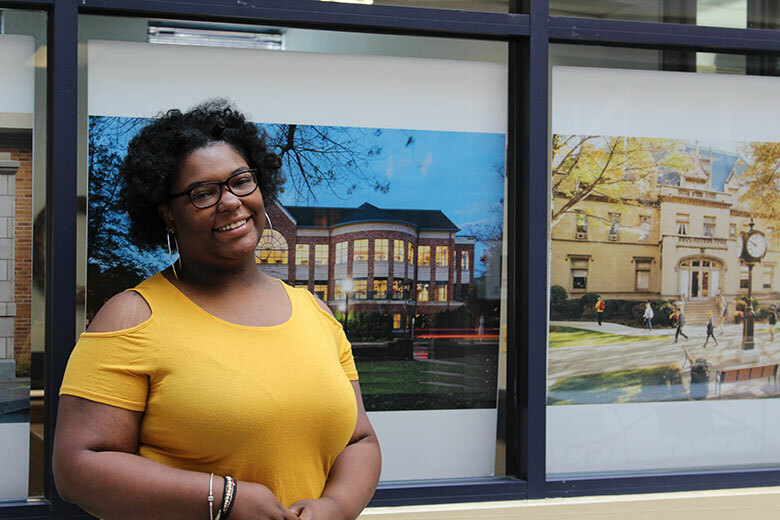 “My one mentee, DeAndre (DePass), said, ‘Kya, I’m going to be the next you on campus.’ It’s things like that I’ll miss big time.” Though she won’t have mentees herself this year, she’s creating the environment for these connections to occur. Those relationships for Lewis, were a huge part of her college experience. “I think the biggest thing I take away from Wilkes is meeting the people I’ve met… all the professionals who helped me get where I am,” she says. 2 weeks ago by WilkesU Congratulations to all of the future engineers and students of the regional high schools that participated in today’s Engineering Olympics!